Liverpool have been drawn to face Bayern Munich in the Champions League round of 16—so what awaits the Reds in Europe in 2019? The Reds will be hoping to go one step further than they managed last season, but to do so they’ll have to get past another of Europe’s behemoths. Jurgen Klopp is no stranger to the Reds’ upcoming opponents, having gone toe-to-toe with Bayern during his time as Borussia Dortmund manager, while the Reds also faced the Bavarian outfit in pre-season in 2017. The two legs of the last 16 don’t take place until February and March, so there’s plenty of time for the Reds to familiarise themselves further with their next hurdle in the Champions League. But what can they expect? Here’s the full lowdown on Bayern Munich’s season, key players, European pedigree and more. Perennial domestic champions they might be, but 2018/19 isn’t going to plan for Bayern. 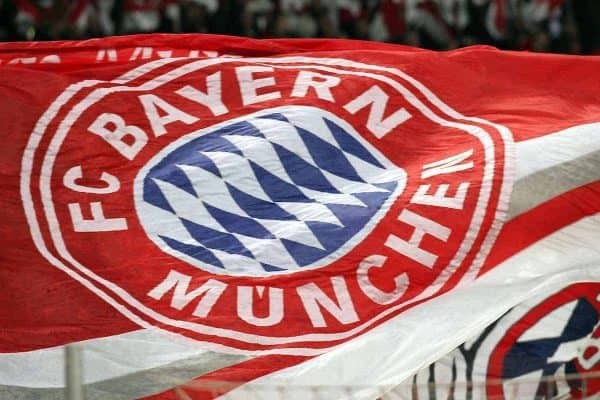 There’s a very real chance that their run of six consecutive Bundesliga titles comes to an end this term, as they lag nine points behind Borussia Dortmund approaching the midway point of the season. In fact, they are third in the table, with only three wins from seven at home being a particular point of consternation for the fans. They topped their group in Europe, of course, but even that was a close-run matter; Ajax should have beaten them at least once and finished just two points behind the Germans overall. 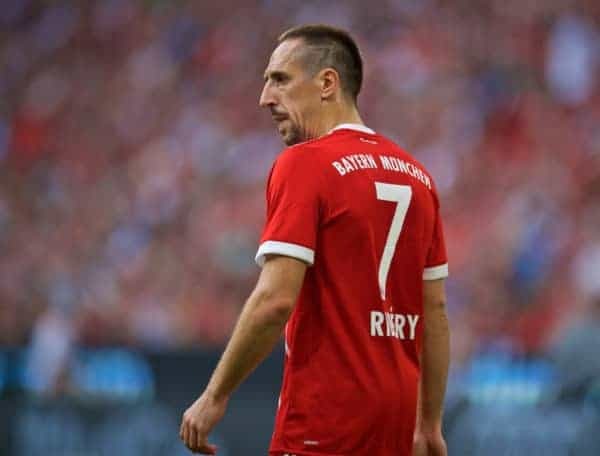 Bayern are a formidable team, with some incredible players, but the feeling for this season is that a few are past their prime and the new additions haven’t made the step-up required. It’s not just the players who are coming under scrutiny: Niko Kovac arrived in the summer from Eintracht Frankfurt and accusations haven’t been long in coming that the boss isn’t ready for this job. 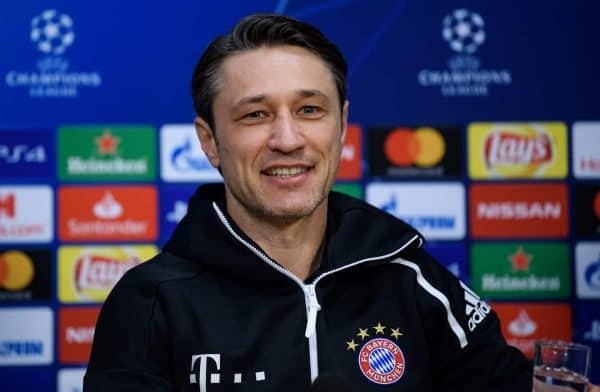 Kovac spent two years as a player at Bayern, winning the league title, with most of his career spent in Germany. 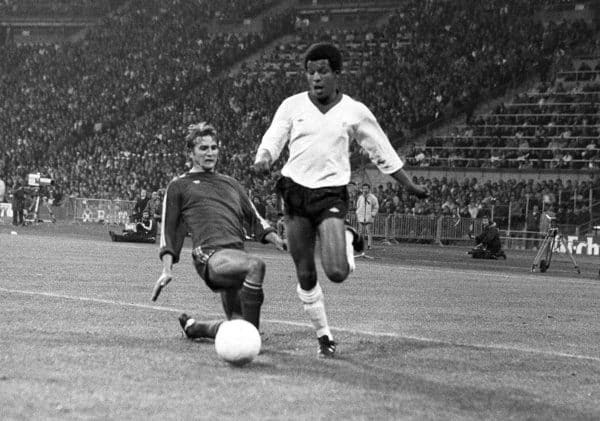 He played most notably for Hertha Berlin and Bayer Leverkusn, as well as representing Croatia on the international stage. This is the 47-year-old’s third job as a senior boss, following spells in charge of his national team and Eintracht, with who he won the German DFB-Pokal Cup last term. Bayern’s squad is a list of elite talent, no question, but there’s also an acknowledgment that many are approaching the end of their time at the top. 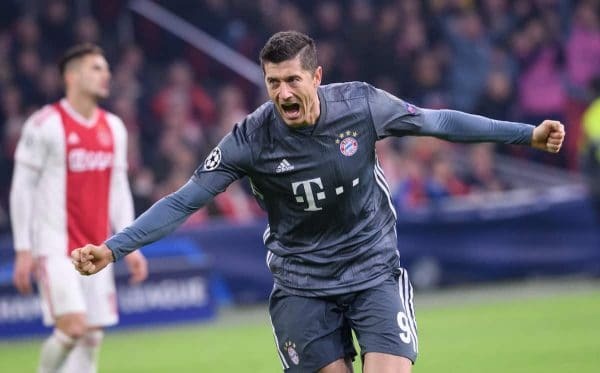 Manuel Neuer, Mats Hummels, Jerome Boateng, Javi Martinez, Franck Ribery, Arjen Robben and Robert Lewandowski have been the spine of a very successful team, but they are all aged 30 or over. 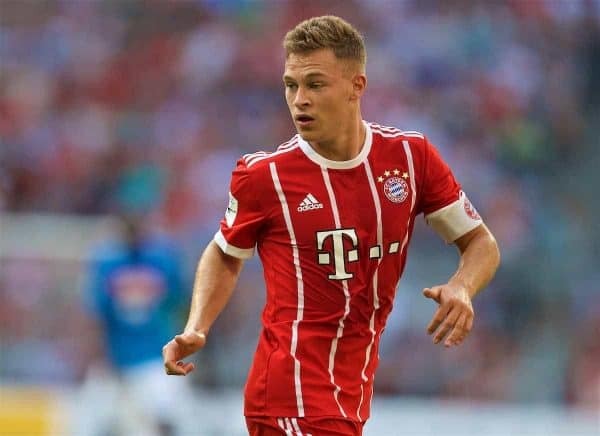 Among the younger star names is right-back Joshua Kimmich, the undoubted future leader of the team, who is equally at home in midfield. David Alaba is equally versatile on the opposite side of defence, while Kingsley Coman and Serge Gnabry play an increasingly important role bringing speed and youth to the attack. Bayern’s stadium is second-to-none. The approach, the view, the design and the interior are all absolutely elite, as befits one of the game’s biggest clubs. It’s a 75,000-seater stadium about 20 minutes from the city centre, served by underground subway stations and a huge car park. 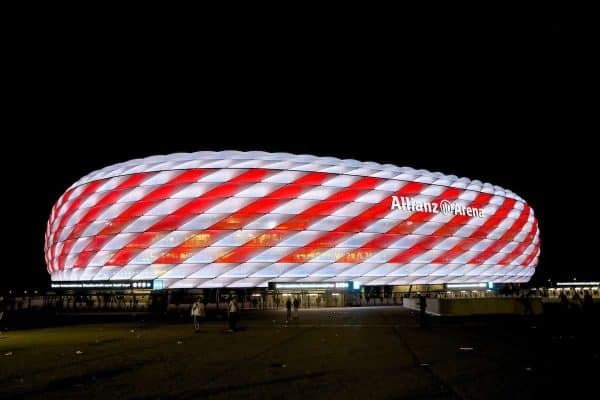 Naming rights give the stadium the official name of the Allianz Arena, but during Champions League fixtures, UEFA rules dictate that the sponsor not be referred to. As such, they list Bayern games played at Football Arena Munich. Few teams can claim as much European history and success as Liverpool, but Bayern are one of them. Like the Reds, they’ve won five European Cups all told, the most recent of which came in 2012/13. 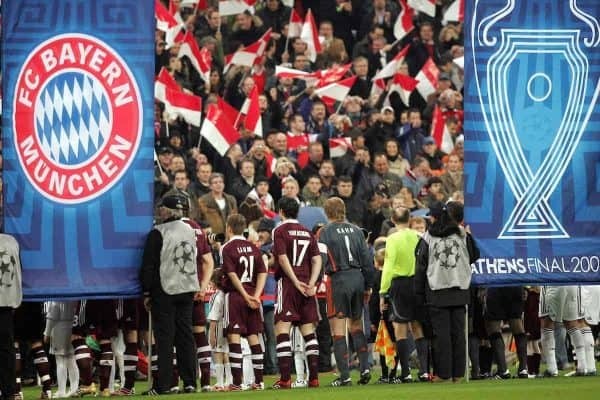 Indeed, Bayern’s European pedigree over the last decade and more is humbling: only twice in the last 12 years have they not reached the quarter-finals, and only once in the last seven years have they not reached the semis. Domestic indifference or not, this is a team and a club which knows how to navigate the Continental trail. The European Super Cup in 2001 was the last time these sides clashed in competitive action, with Gerard Houllier’s side running out 3-2 winners on that occasion. John Arne Riise, Emile Heskey and Michael Owen were the scorers and the squad contained the likes of Robbie Fowler, Steven Gerrard, Jari Litmanen and Igor Biscan. Only seven times in total have Liverpool and Bayern met in official matches: two wins for the Reds, four draws and a single victory, in 1971, for the German outfit. Perhaps the most memorable occasion of all came a decade later though, as the two met in the European Cup semi-final. Howie Gayle was the Reds’ hero on that occasion, coming off the bench for the injured Kenny Dalglish in the Olympia Stadion to hound the Bayern back line and inspire a 1-1 draw. Ray Kennedy’s late goal put the Reds ahead and, despite Bayern’s equaliser just before the 90th minute, Liverpool reached the final on away goals. There, they defeated Real Madrid 1-0 in Paris to lift the trophy. It’s a much earlier tie this time around as the Reds meet Die Roten, but the historical links are there in reverse: this time Liverpool have already played a team from Paris and the final is in Madrid.